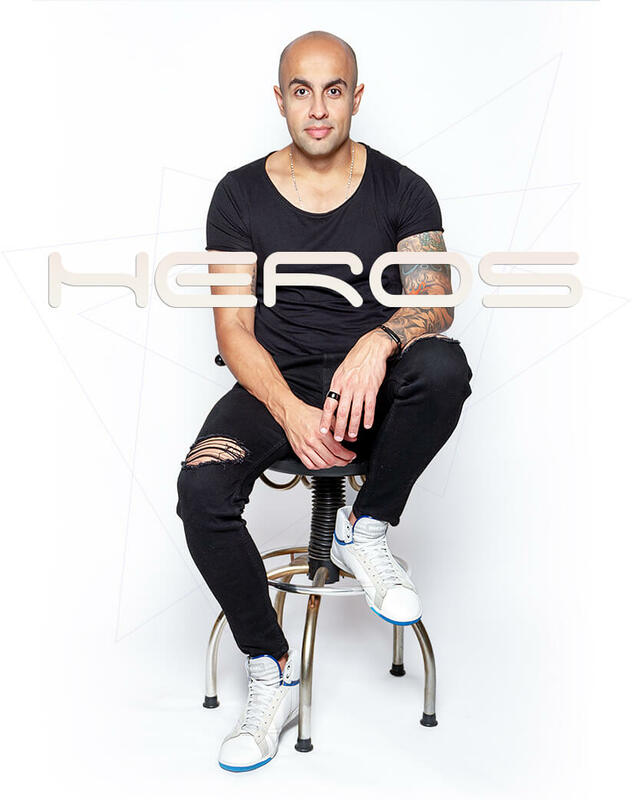 15 years ago Heros started his career as a DJ, being resident throughout those years in important clubs in his hometown, Belo Horizonte, Brazil, and also performing abroad. In 2010, played in Europe, during the famous “Fashion Week” of Milan, IT, to the acclaimed brand Philipp Plein at the trendy “BAOBAR” and “Principe di Savoia” hotel. Há 15 anos iniciou sua carreira como DJ, ao longo desses anos coleciona importantes residências em sua cidade natal, Belo Horizonte, MG, além de apresentações internacionais.Em 2010, o DJ tocou na Europa, na famosa “Fashion Week” em Milão, IT para aclamada grife Philipp Plein, no badalado “BAOBAR” e no Hotel “Príncipe Di Savoia”. In 2011 his international performance was in Miami, FL. In 2016 he moved to America where he became the resident DJ at the “Seafood Shanty” and also had exciting projects at Loft and Lampost clubs during the summer, in Martha’s Vineyard Island, MA. Since 2017 he dedicates his time to new projects in Los Angeles, CA, where he currently lives. Heros shared the pickups with great names from the electronic scene like David Tort, Gee Moore, Moony, Tim Healey, Rodrigo Ferrari, Carlo Dall’anese, Rodrigo Brinko, Leozinho&Paciornik, Júlio Torres, Mario Fischetti, Abigail Bailey, Steven Quarre, Steven Lee (Lee Cabrera) and Eric West, among others. Em 2011 a parada foi em Miami, FL, em 2016 o DJ se mudou para os EUA, e assumiu a residência do “Seafood Shanty” além de projetos nos clubs “Loft e Lampost” no verão da ilha de Martha’s Vineyard, MA. Desde 2017 o DJ dedica se aos novos projetos em Los Angeles, CA. Heros já dividiu cabine com grandes nomes da cena eletrônica nacional e internacional: Dj’s: David Tort, Gee Moore, Moony, Tim Healey, Rodrigo Ferrari, Carlo Dall’anese, Rodrigo Brinko, Leozinho&Paciornik, Júlio Torres, Mario Fischetti, Abigail Bailey, Steven Quarre, Steven Lee (Lee Cabrera) e Eric West entre outros.